The German occupation of Belgium in 1914 brought with it some crippling economic impacts. In addition to commandeering massive quantities of foodstuffs and raw materials, cities and provinces were burdened with formidable war contributions. Under these crushing financial burdens the indiscriminate looting of houses and factories continued and in a frighteningly short space of time the Belgian population was facing actual starvation, in twentieth century Western Europe. A Central Relief Committee was formed in Brussels, under the patronage of the American and Spanish ministers to Belgium, to appeal to the wider world for aid to prevent a humanitarian catastrophe. The American ambassador in England directed them to Herbert Clark Hoover, an American mining engineer with excellent contacts with the great and the good of American society and around the world. For the next two years, Hoover worked 14 hour days from London, administering the distribution of over two and a half million tons of food to nine million war victims. Making up a large proportion of this relief, the CRB shipped 697 million pounds of flour to Belgium. 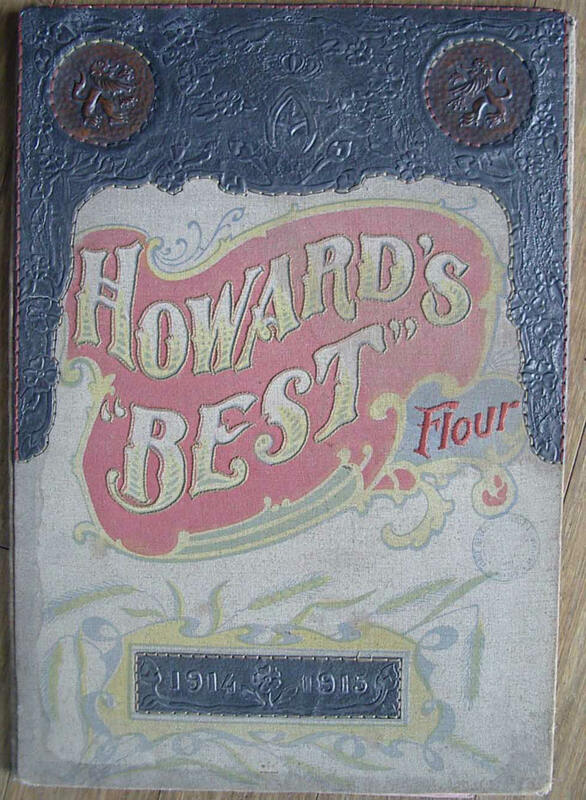 The flour was packed in cotton sacks by American and Canadian mills. 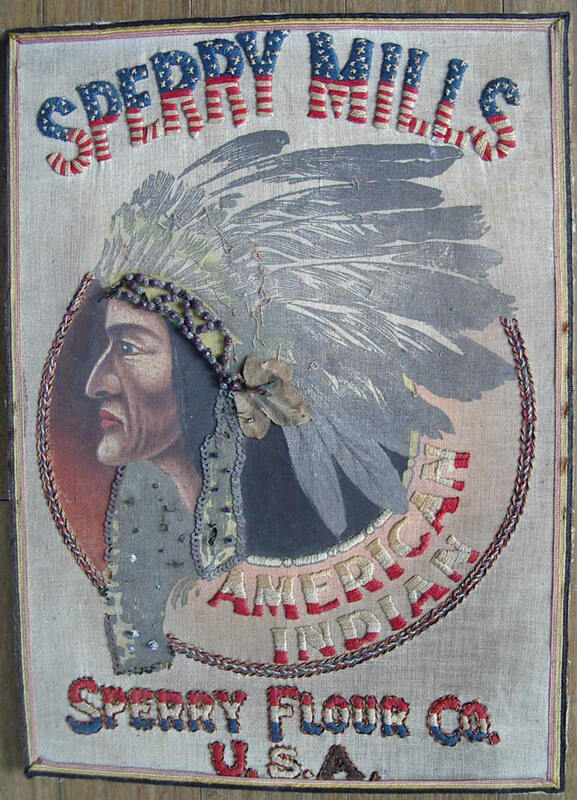 The empty sacks were distributed to professional schools, sewing workrooms, convents and individual artists. Many women chose to embroider over the mill logo and brand name, adding painted sections. Frequent additions were messages of gratitude to the Americans, flags, the Belgian lion, the American eagle, the Belgian flag colours of red, yellow and black and the American flag colours of red white and blue. 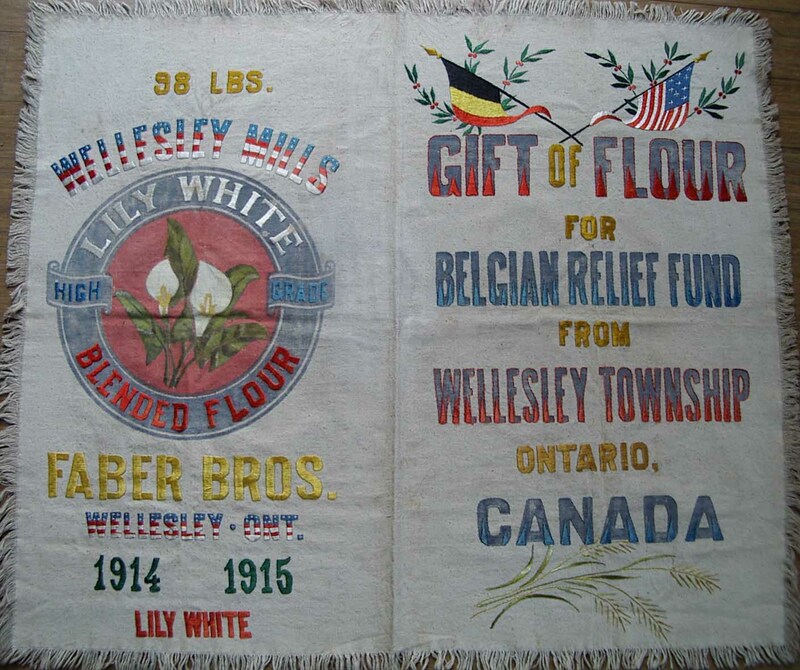 The completed flour sacks were distributed to shops and organisations in France, Belgium, England and the United States for the purpose of raising funds for food relief. Many were also given as gifts to the members of the Commission, with the Hoover Museum in Iowa having, naturally, a large collection.